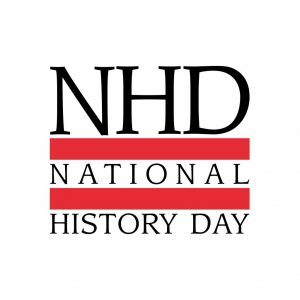 National History Day® (NHD) is a non-profit education organization based in the US and offers year-long academic programs that engage over half a million middle- and high-school students around the world annually in conducting original research on historical topics of interest. 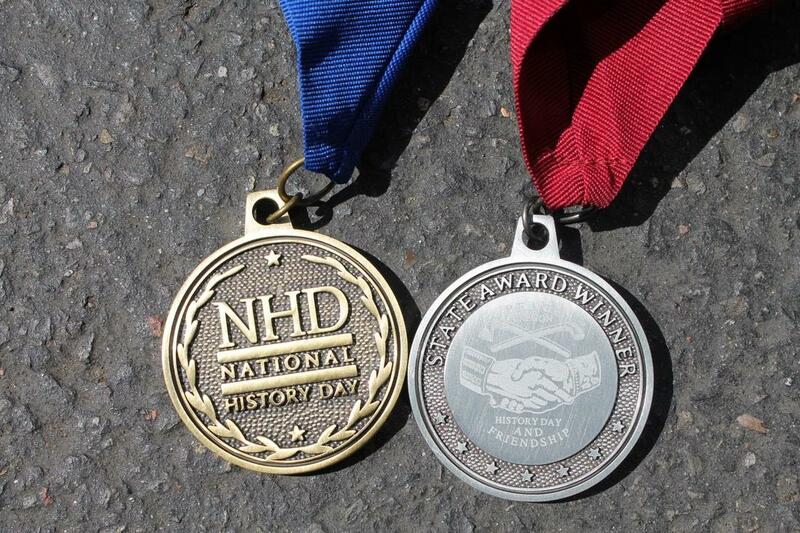 The largest NHD program is the National History Day Contest that encourages more than half a million students around the world to conduct historical research on a topic of their choice. 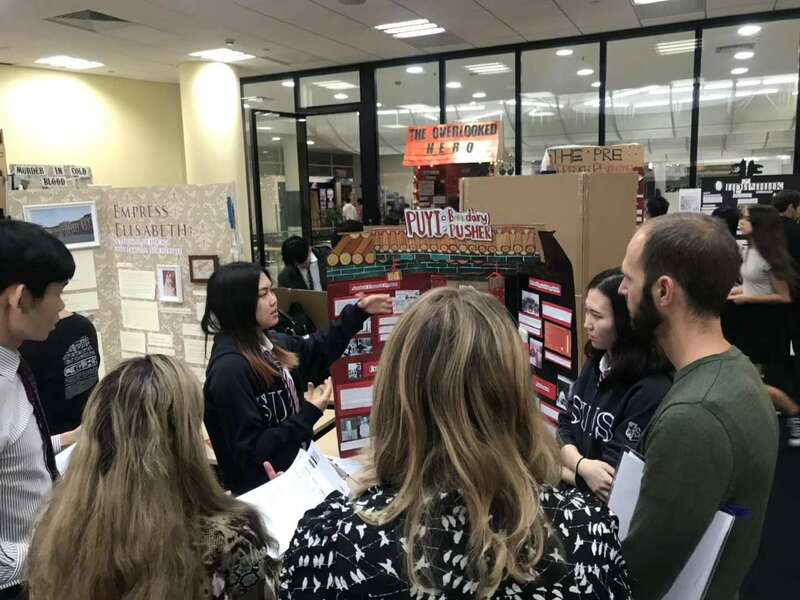 National History Day is a contest based on a year-long academic program focused on historical research, interoperation and creative expression for six to twelfth-grade students. By participating in the NHD, students become writers, filmmakers, web designers, playwrights and artists as they create unique contemporary expressions of history. The contest not only emphasizes the importance of historical analysis, but also encourages an understanding and appreciation of history while developing college-level research skills and the awareness needed for 21st Century citizens. 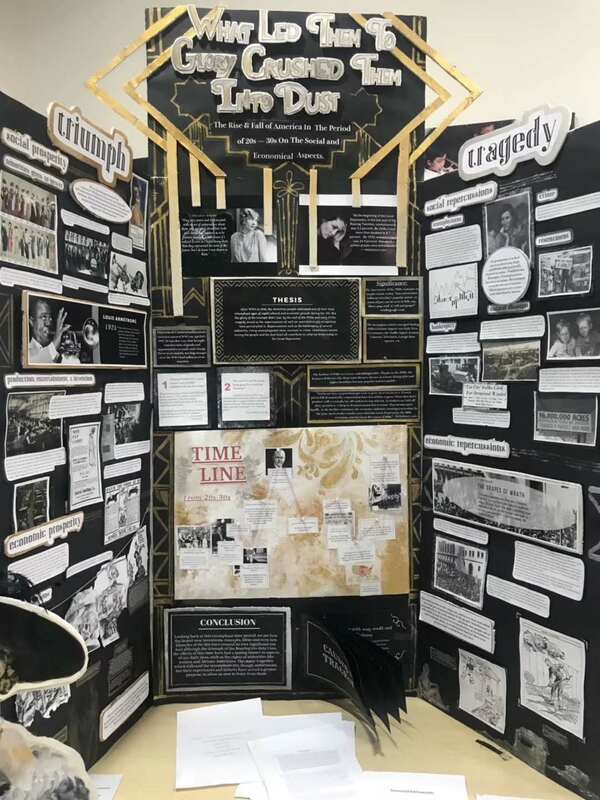 National History Day not only transports classrooms back in time throughout the school year, but also beneficially transforms students’ critical thinking skills and mindsets. 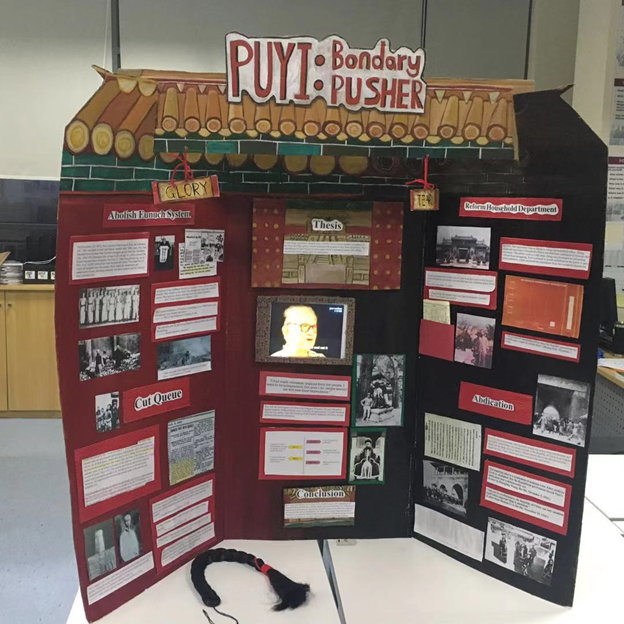 The National History Day (NHD) Club at SUIS Wanyuan’s US High School is one of the most academically challenging clubs in our school. 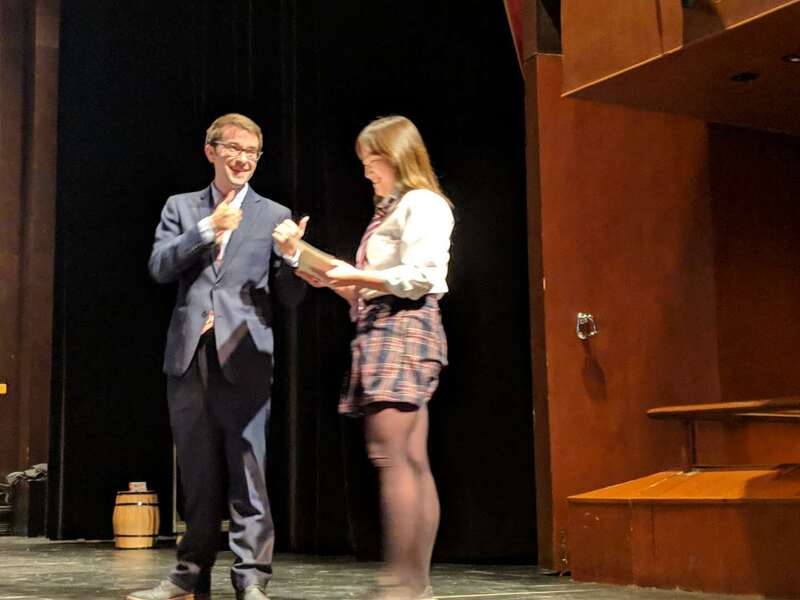 Although NHD is a well-known annual competition in the United States and around the world, this year represented the first time for some of our students to participate. The topic for this year’s contest was “Triumph and Tragedy”. Given that this year is a very competitive year for NHD, our students achieved outstanding results, including a special reward. Throughout this competition, the first thing I learned was how to conduct intensive academic research. The topic we undertook was Israeli-Palestinian conflicts, and our approach can be broken down into three parts. At first, our group used the HISTORY website to gain a general overview of the topic, which provided us a research outline. In the second stage, our group conducted intensive research on each sub-topic in our outline by examining a variety of academic papers, and the major source we reviewed was JStore. In the final stage, we looked at some primary sources such as documentaries, letters, and pictures. 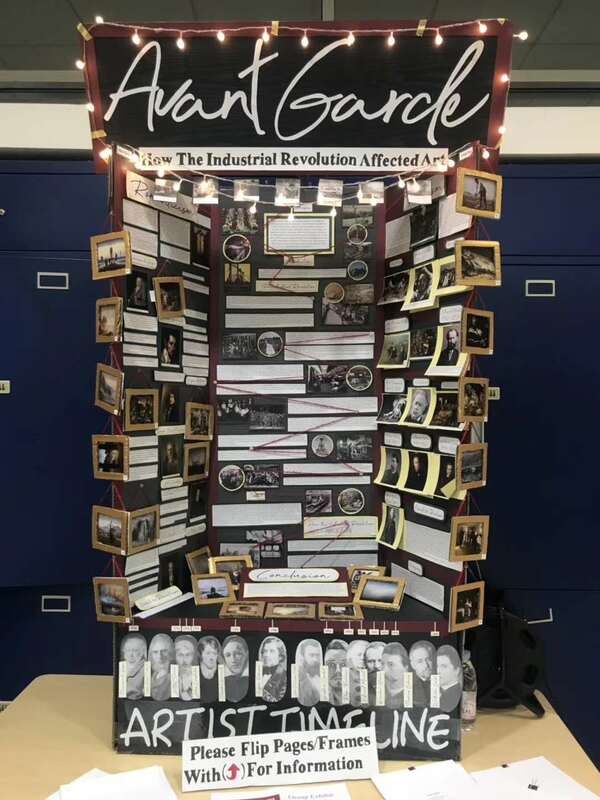 Since we had planned to create a display board, this stage was the most crucial one as it allowed our group to provide our audience with vivid pictures of the event. Besides the academic part, what we learned more during the competition was teamwork and collaboration. David, for example, was strong in conducting a deep analysis of historical events, while I was good at doing historical research. Therefore, I was responsible for collecting all the information and David focused on the analysis part. Overall, it was a very meaningful experience. For Michelle and I, this was the last time for us to attend the NHD. The process was pretty tough since we needed to put much effort into searching for historical resources and different perspectives. However, we benefitted a lot from it. During our preparations, we communicated with each other a lot to figure out the best-fit topic and the layout for the exhibition board; we learned more about one specific topic that we became interested in and discovered the versatility of its impact. NHD offered us the ability to break conventions and to think ‘out of the box’. After we started our research on PUYI, the last emperor of China, we found out that he was not as incompetent or cowardly as he was depicted in our textbooks. Because of NHD, we started to think critically and more thoroughly about a topic. We no longer memorized history but tried to view it with a critical lens. I have to admit that it was a challenging contest, especially when we had to leave our campus and compete with other international students. Yet, the contest did help us to improve our research skills and become more prepared for our future college life. When our team first got the message to participate in National History Day, we wanted to research on something special rather than political histories. To this end, we came up with two questions: What is a topic that is worth debating for both the ‘pro’ side and ‘con’ side, while doesn’t limit to conventional history events like wars and treaties? Finally, we chose to talk about euthanasia. Instead of discussing about the perceived benefits and harm of euthanasia, we developed our thesis based on an objective evaluation of the emergence of euthanasia. We believe the choice of euthanasia itself and its initiation are triumphs as they offer people free choice, but the ethical impact might result in a permanent tragedy for family and individuals. We made a documentary to present our work because we have strong interests in media-related projects, and we gathered group members who were adept at video editing techniques. Also, it was more engaging to conduct a documentary where we could display information with various forms of media including music, videos and photographs. National History Day was a meaningful opportunity for our group members. 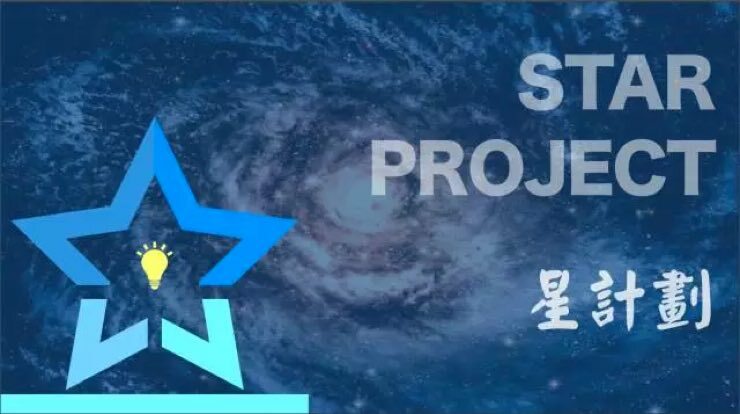 It allowed us to see some of the best projects done by top students from other schools, and we discovered areas we can improve upon after listening to the judges’ helpful comments and watching other groups’ nice works. 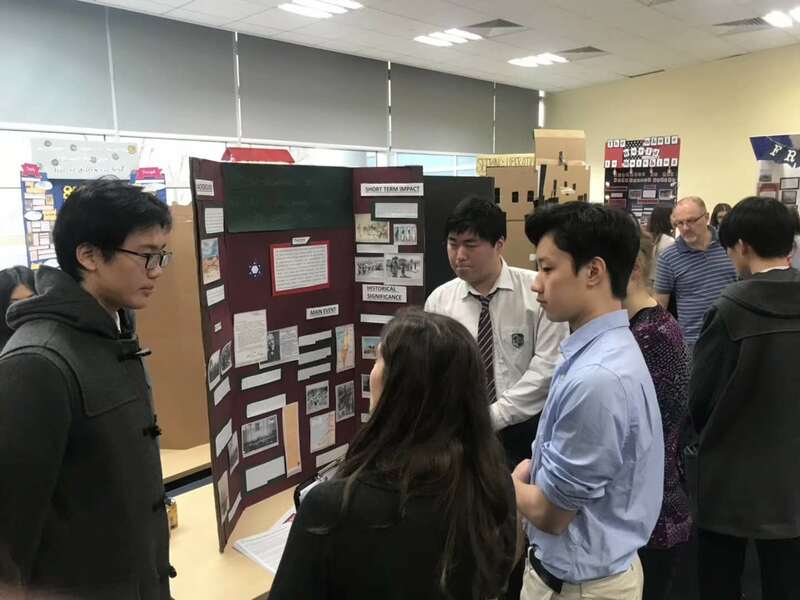 More importantly, this competition showed us effective methods for researching and analyzing historical events with multilayered evidence and deep thoughts. 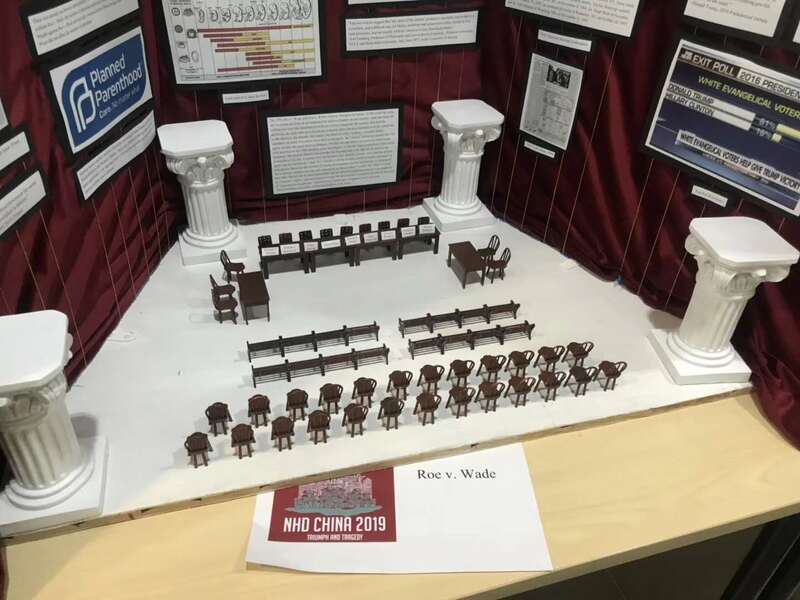 At this year’s NHD content, our team members decided to choose the Three Kingdoms topic – this 100-year splendid historical period, although filled with bloodshed, strongly attracted us. By looking through this period of history, we could search for the profound mystery left from 2000 years ago, and understand about the spirit of both courage and wisdom. To make our display board, we gathered first-hand resources mainly from pictures about the relics in the museum, some poetry written by Three Kingdom leaders, and second-hand resources about historical records from Chinese websites. Although our team didn’t reach the standard we set, we accepted the results with pleasure. Having the chance to learn about the standards set by others, I can guarantee that our SUIS classmates will prepare well next time. This experience will elevate us in to a higher level, and we will strike for rewards next year. 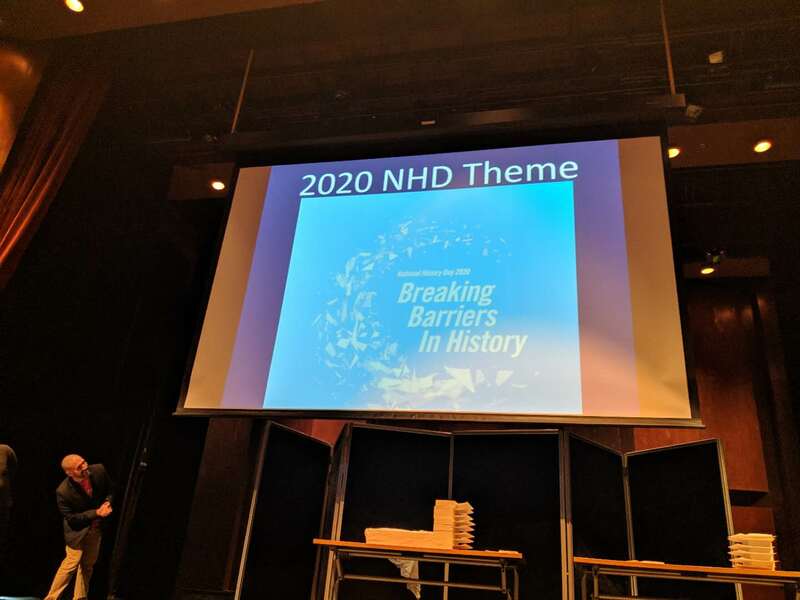 By the way, next year’s NHD topic is “Breaking the barriers” – we will certainly break the barriers of our own capacity! 1. Fom your perspective, how was NHD different from daily courses and how could it benefit students? NHD is a long-term project, so it allows students to learn how to work in teams and split tasks effectively, manage their time wisely, and conduct high quality, in-depth research on a topic of their choice. The students’ enthusiasm needs to improve along with their time management. 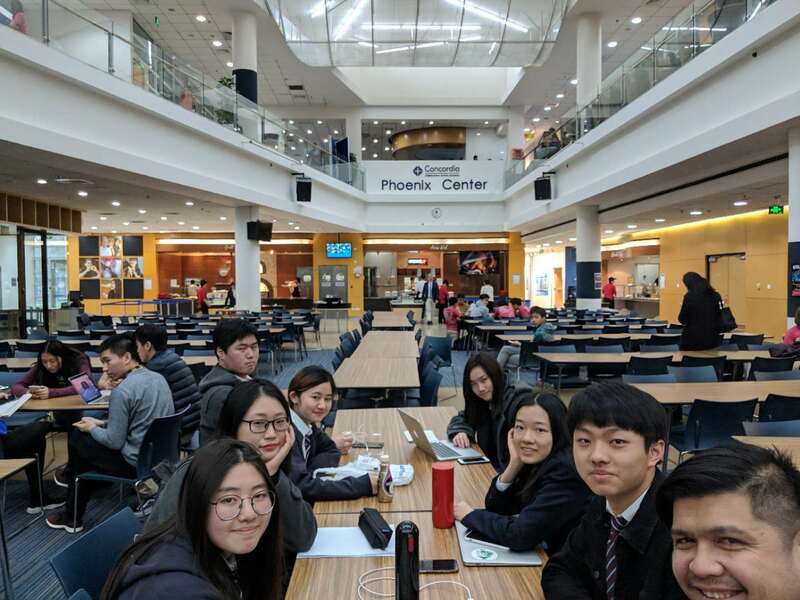 The topic for the competition is always given the year before, so it doesn’t make sense that students are rushing to finish a project just weeks before the deadline. 3.What need to be improved? I was really surprised when I received a special award. I think it was mostly due to the fact that I chose an interesting topic and was able to do some research in French, which my judge told me really impressed him. I feel like I could have done better but it is encouraging to know that my work was liked.